The company’s name “Kuahiwi O Makamae” is translated from the Japanese saying “Takara no Yama”, or mountain of treasure. Kuahiwi O Makamae, LLC (Brand name: Kamilo‘iki) was founded to support and grow the business of the local farmers and artisans, who are working to cultivate the treasures found throughout the Hawaiian Islands. They have dedicated their efforts to sourcing premium products that are 100% Made in Hawaii, no compromises. The company’s vision is to bring natural, healthy and delicious products from Hawaii to every table on earth. Helping to perpetuate Hawaii as not only a place of beauty, but also a place of wellness and inner peace. Mamaki has been growing in native Hawaiian forests before the arrival of Polynesian settlers. Ancient Hawaiians used the dried leaves of the Mamaki plant to make a delicious tea to help purify the body and soul. In both dried and raw forms it is famous in native Hawaiian lore for its health benefits. 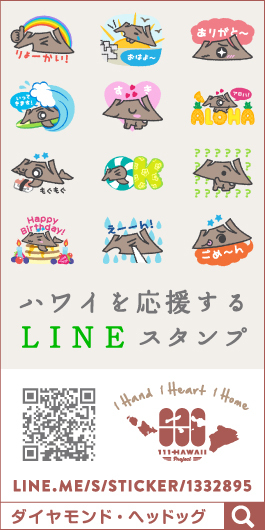 The “Kamilo‘iki” brand is produced using only 100% premium Mamaki leaves that are grown only at Wood Valley Plantation. Renowned as the first and only certified plantation of Mamaki, it was established in 1905 in the Ka’u district of the Big Island of Hawaii. High levels of three major antioxidants: catechins, chlorogenic acid, and rutin in Mamaki leaves were identified in a University of Hawaii study. Also known for its detoxification and anti-aging properties, Mamaki Tea is a popular healthy tea among locals with it’s smooth and mild taste. It is 100% natural, Cholesterol free, Caffeine free, Gluten free, and with no artificial flavors, colors or added preservatives. We want to share this legendary Hawaiian Herbal Tea with every table on earth! The exquisite natural beauty and splendor of each island in Hawaii is unique to this small isolated archipelago in the Pacific Ocean. Even those who have been to Hawaii can barely explain the sights, smells and especially the tastes that have boiled up from its melting pot of peoples and cultures. Sharing these tastes and smells not only with visitors, but also with the world is why Kamilo‘iki was created. Hawaiian products are as beautiful as the islands themselves; they bring along not only delicious flavors, but also amazing health benefits. When planning on promoting Mamaki Tea for its especially high health benefits, they came across the 111-HAWAII PROJECT. Kamilo‘iki considers the agriculture and artisanal cuisine being produced on every island to be as beautiful, and as special as the islands and people that create them. They feel that the project will help to spark that idea, and pave the way for all local agriculture and artisans to receive recognition and the opportunity to efficient PR. This idea matched with the brand’s philosophy and goals, thus prompting them to participate in the project. Try the tea, and actually feel the positive effects! The project team discussed how to develop a product like Mamaki Tea in a way that had not yet gained exposure to the general public. They came up with the idea of creating sampler packs which would enable customers to try the tea and experience its great taste and positive effects. To keep the pricing as reasonable as possible, the package size was decided at 0.5 oz which is 14 servings (one cup a day for 2 weeks). By doing this we have tried to give customers the opportunity truly experience the benefits of Mamaki Tea at an affordable price. 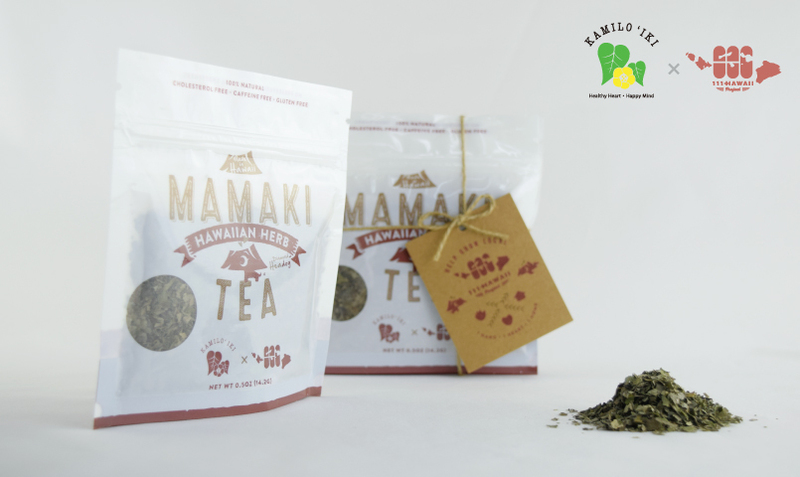 “MAMAKI HAWAIIAN HERB TEA” at $10.80 (one bag) makes one cup about 77 cents, and is now available for you to try! As a “Made in Hawaii” donation product, Kamilo’iki’s Mamaki Tea is proud to be the second 111-HAWAII PROJECT collaborative piece.